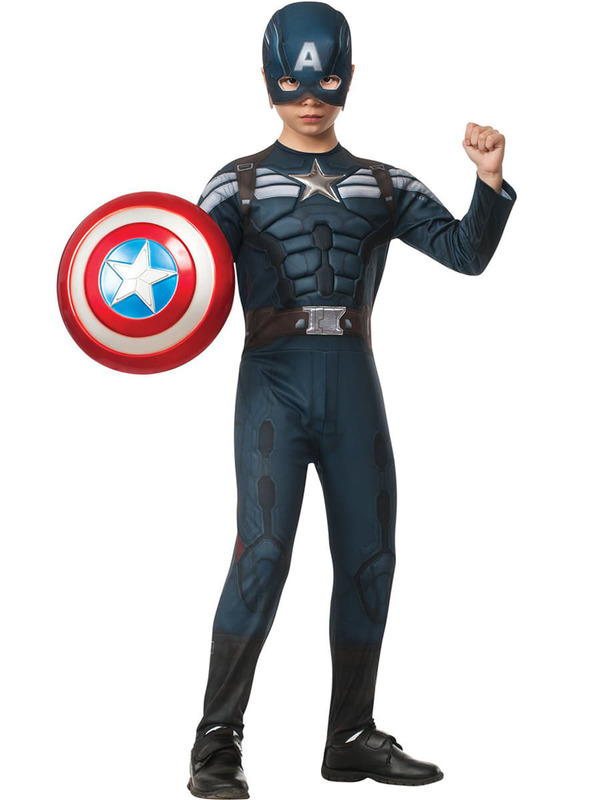 Fight against the Winter Solider with this Captain America Winter Solider stealth suit costume for a boy. After the devastating events in New York with the Avengers, Steve Rogers, aka Captain America, lives quietly in Washington trying to adapt to the modern world. But when they attack a S.H.I.E.L.D. colleague, Steve is wrapped in a web of intrigue that represents a threat to the world. He will then join the Black Widow to unmask the conspirators. When they finally discover the extent of the plot, the Hawk will join them. The three will have to face an extraordinary and unexpected enemy: The Winter Soldier. This gorgeous Captain America costume features a blue jumpsuit with brown details and a silver star on the chest, and a blue fabric mask with an A on the front. העלה את התמונות שלך ל Instagram עם hashtag #funidelia בא אחריו #funidelia12265. דירוג המוצר: "קפטן אמריקה חורף Solider חליפה התגנבות תחפושת עבור ילד"